Located in London, Colliers Wood Centrale offers a self-catering apartment in the South of London with free WiFi access throughout. 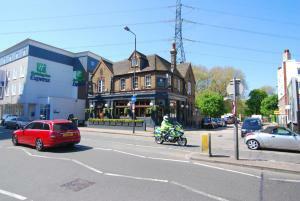 The property is situated 500 metres from Colliers Wood and 2 km from Wimbledon. See all Colliers Wood Centrale reviews..